VANCOUVER — When Ryan Thompson, founder and owner of Pines Coffee in Vancouver, talks about the future of his expanding coffee business, he has a very clear vision for the small coffee drive-thru that will soon be moving into a full-size coffee shop location. “I really want us to become like the Salt & Straw of coffee,” Thompson said, referring to the Portland-based ice cream company that features numerous unique ice cream flavors made from fresh, natural ingredients. Thompson, 29, first garnered experience in the coffee industry when he worked for Starbucks for 10 years. In 2006, Thompson was diagnosed with multiple sclerosis and he eventually decided to venture out on his own to start his own coffee business. However, this wasn’t going to be just any ordinary coffee business. After his diagnosis, Thompson began paying careful attention to certain things such as the correlation with inflammation and dairy consumption, as well as the side effects of an unbalanced sugar diet. As Thompson continued to observe and research these different aspects of coffee and ingredients, he began to experiment with new flavors not normally associated with coffee. 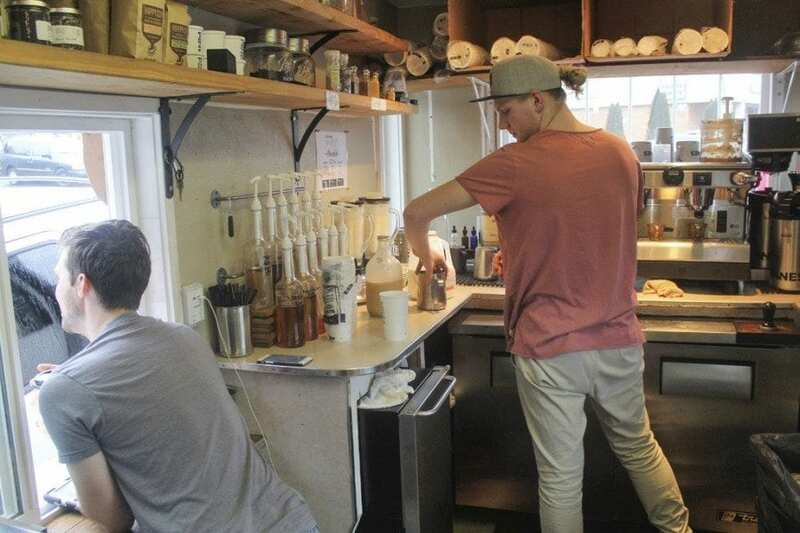 As he continued to experiment, Thompson began finding more and more ways to create his own syrups, ingredients, milks and more for his unique coffee drinks, and Pines Coffee was opened in 2014 in its first location in a small drive-thru kiosk on Andresen Road. Pines Coffee remained at its first location for about six months and then moved to its current drive-thru location at 1000 Grand Blvd., in Vancouver, where it has been for about the last three years. However, the Pines Coffee business will again be making a move in March when it will open in a sit-down coffee shop location in The Mill complex, a complex right off of East Mill Plain Boulevard that is home to several new establishments, including Rally’s Pizza, Smokehouse Provisions, Ben’s Bottle Shop and more. The new location, which was actually a former Starbucks location, is 1,200 square feet and will have seating for about 20 people, restrooms, a full pastry counter area and more. When Thompson first began his culinary journey with coffee, he really wanted to reinvent the way people think of different coffee drinks and add some unique and unusual flavors while also letting people know exactly what was going into their drinks. 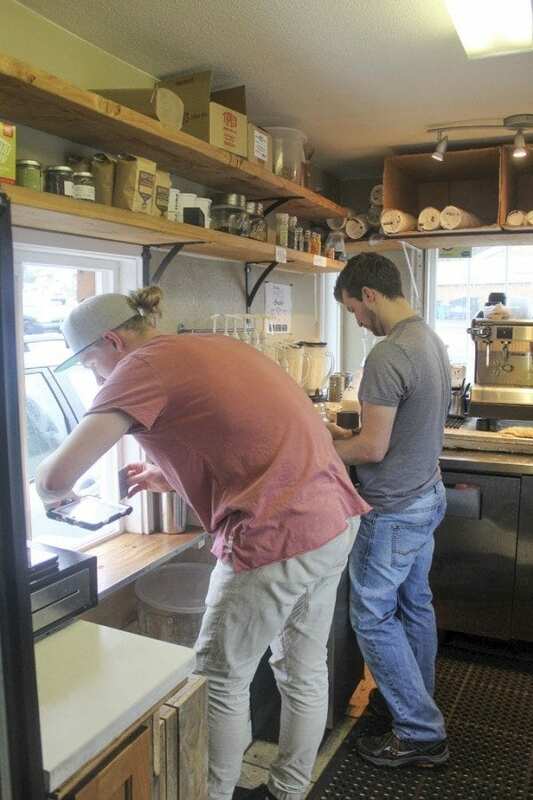 He began making his own almond milk, then moved on to making his own fresh soy milk and a coconut/cashew milk, all of which are available for Pines Coffee drinks without a surcharge. The milks are made completely from fresh ingredients and have no preservatives in them, giving them a shelf week of only about one week, though Thompson said they often run out of the freshly made milks. 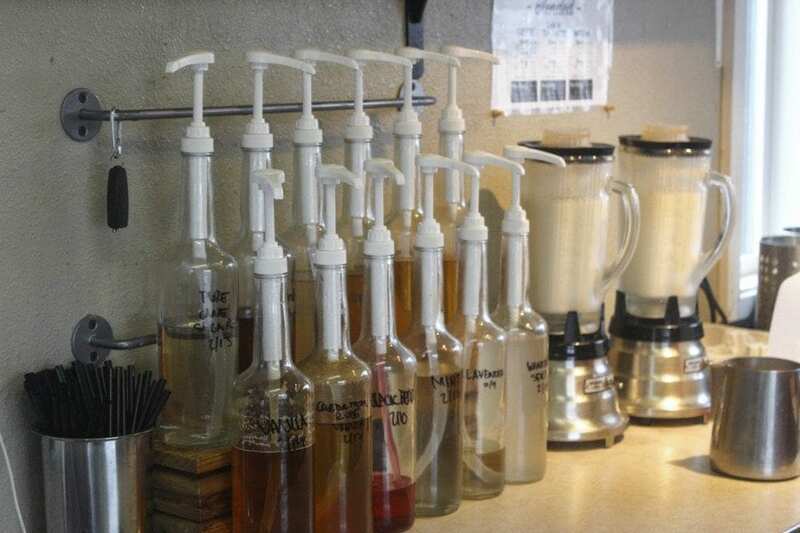 In addition to making their own milks, Pines Coffee also offers syrups that are all made from scratch by them. Syrup flavors include vanilla, cardamom rose vanilla, blackberry/marionberry, mint, lavender, winter spice, hazelnut, pine, peach fog, sugar-free vanilla and agave. Thompson said they also make their own dark chocolate in house, as well as their own caramel, which is made from coconut cream, brown sugar and vanilla, making it gluten free. Currently, Pines Coffee gets their coffee roasted through Happy Cup Coffee Company, a company based in Portland. Thompson said he is hoping to add one more coffee roasting vendor so he can offer coffee from two different companies. All of these different housemade syrups and other ingredients make it possible for Pines Coffee to offer their wide variety of unique coffee drinks. Some of these drinks include ones like the Lodgepole Pine Latte, made with the pine syrup that is made from Croatian juniper berries and Finnish pine needles, along with pure California orange oil; the Black Alder Mocha made with the pure orange oil infused with Pines Coffee dark chocolate; and the Mount St. Helens Mocha made with smoky chipotle, cayenne pepper, pure peppercorns and Pines Coffee dark chocolate. Although many of Thompson’s creations come out quite tasty, he said there has been a few that sounded really good, but didn’t quite come out tasting like he thought they would. One example he gave was a goat’s milk latte with marionberry and habanero pepper. “It didn’t quite work out,” Thompson said, laughing. One of his employees, Teal Fielding, agreed, pointing out that he was the one who had to taste the concoction. Thompson said the plan for Pines Coffee is to be moved into the new location and open for business hopefully during the first week of March. Ironically, the space that Pines Coffee is moving into was formerly a Starbucks location, so Thompson said most of the stuff they need is all ready to go. He said they are working on some cosmetic aspects of the space, as well as finishing up getting the needed permits. 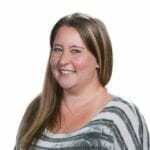 Thompson’s wife, Katie, currently works for Keller Williams Realty, but also plays an important role with the coffee business focusing on the networking and wholesale side of things. Pines Coffee is currently raising funds to help them move into their new space through private crowdfunding on their website. Thompson said their goal is to raise $50,000 and he said they are currently at about 45 percent of that goal, which has already helped out tremendously with permit fees, equipment and more. Through the private crowdfunding, those wishing to donate can visit the Pines Coffee website at https://www.pinescoffee.co/ and can choose from different bundles/packages for different donation amounts starting as low as $15 and going all the way up to $2,500. Packages include ones like a Coffee Lovers package; Tea Lovers package; an Ultimate Bundle with coffee, tea, mugs, etc. and more. As people get up to the higher donation amounts, these packages include Pines Coffee hosting a private party for donors, free beverages each week for a year, etc. At its current location, Pines Coffee is open Mon.-Fri., 6 a.m.-4 p.m. and Sat., 7 a.m.-2 p.m., closed on Sundays. When they move into the new location, Thompson said they will extend their hours to Mon.-Sat., 6 a.m.-6 p.m., still closed Sundays. To donate to help with the expenses of moving into the new Pines Coffee location, visit https://www.pinescoffee.co/support-2 and choose from one of the several packages. For more information on Pines Coffee, visit their Facebook page or their website.